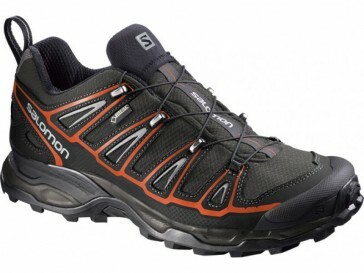 A technically high-quality trail shoe with a sturdy outsole and extra protection with Gore-Tex . Perfectly suitable for hiking on varied terrain. The inner material is made of abrasion-resistant, quick-drying textile fibers with excellent breathability. The lightweight Advanced Chassis between foreign and midsole for maximum motion control, power savings and puncture resistance. This is an efficient, stable and responsive movement to help.